OUR CLIENTS INCLUDE U2 AND THE GRAMMYS; APPLE, REEBOK, THE NFL, ABSOLUT VODKA AND MUMM; NBC, CBS, THE BBC, BRAVO, SAATCHI, CASEY NEISTAT, DEVIN SUPERTRAMP AND MANY, MANY OTHERS. Whether your project is big or small, if it’s on, near or involves water, we can get it done safely, efficiently and on budget. We’re available 24/7, providing chase and camera boats, the widest, most diverse range of picture boats in the NYC area, expert marine coordination, safety and rescue divers, waterway and waterfront scouting services, media boat and more. We’ve helped feature film crews, TV shows, videographers, still photographers and spot news crews get the job done. 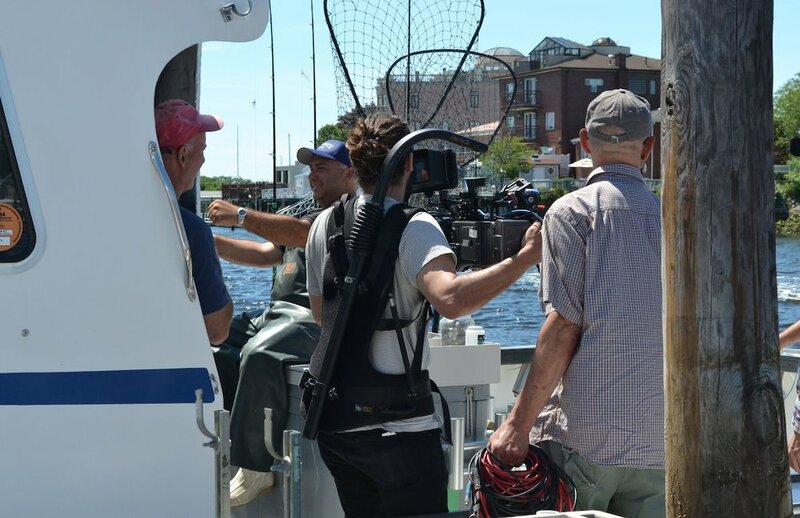 We help you navigate the various bureaucracies, complications and idiosyncrasies of filming in New York Harbor and beyond from securing USCG, NYPD and FDNY permits to marine insurance, we can help you plan your next shoot on the water from the start. Whether you need a boat for shooting b-roll, scouting or as a chase boat for another watercraft, New York Harbor Tours has you covered. Reach out today for a custom quote.